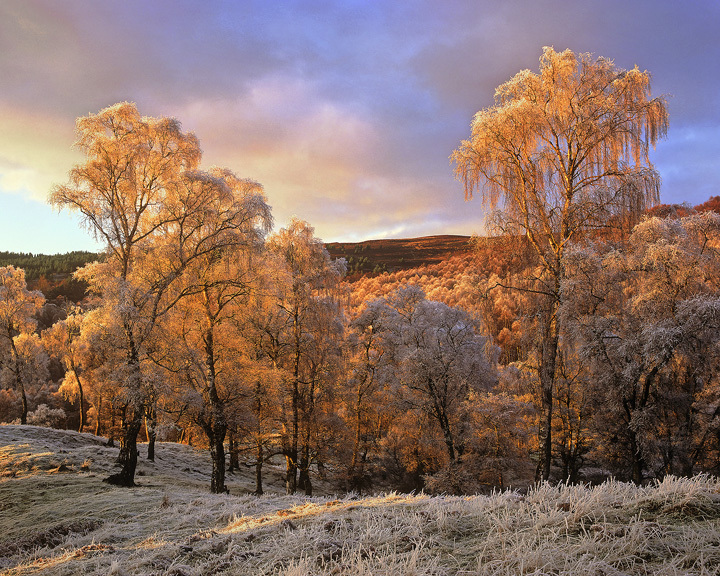 A bitter frost had descended over the Grantown area a place noted for its extraordinary low temperatures. The frost remained all day and as the last rays of a dying sun set so the hoar frosted birch trees began to burn a fiery red against a clouded blue sky. the last light was stunningly beautiful and is one of my all time favourite shots.